Joan Chandos Baez is born on January 9, 1941 in Staten Island, New York, the middle daughter of Albert Vinicio and Joan Bridge Baez.In the summer of 1958, Joan Baez, a 17-year old high school graduate (by the skin of her teeth) moved with her family from Palo Alto to Boston. They drove cross-country with the Kingston Trio's "Tom Dooley" all over the radio, a guilty pleasure of Joan's. She was an entering freshman at Boston University School Of Drama, where she was surrounded by a musical group of friends who shared a passion for folk music. 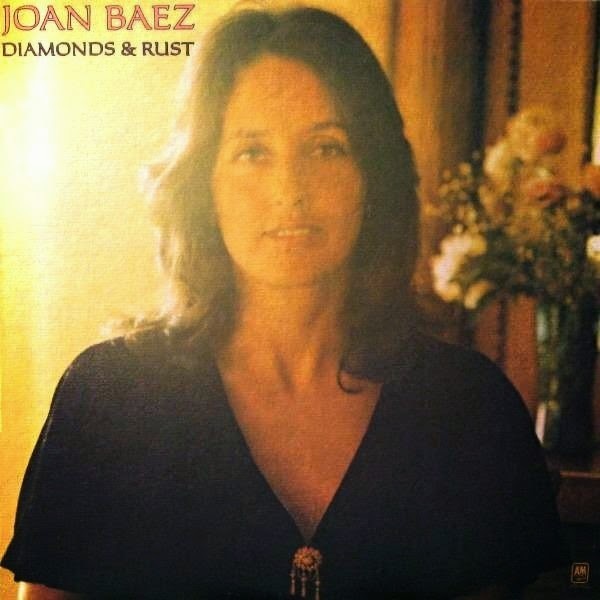 In April 1975 Joan Baez released her album "Diamonds & Rust" and later in the year it is certified gold. The album contained songs by Jackson Browne, Janis Ian, John Prine, Stevie Wonder & Syreeta, Dickey Betts of the Allman Brothers Band - and Bob Dylan.